Los Llanos, Chiapas, October 12. 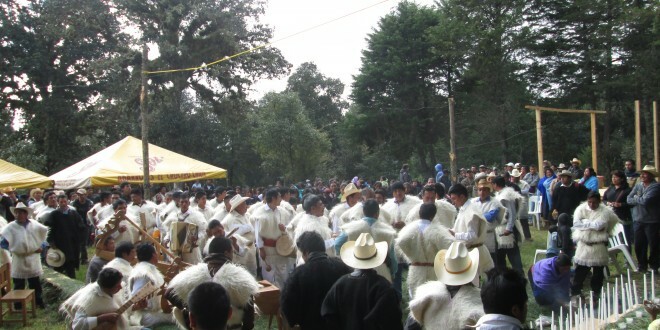 More than 800 indigenous, from communities such as Candelaria, San José el Porvenir, Nuevo Corralchem and San Sebastián ​​Bachajón, arrive at the community of Los Llanos, in the municipality of San Cristobal de las Casas, to express their opposition to the construction of the highway from San Cristóbal to Palenque, which the government intends to build without prior consultation, as they have repeatedly denounced. For his part, the representative of the community of San José el Porvenir, in the municipality of Huixtán, says that in December 1994, “It cost us a lot of blood to reclaim our land, many lost their lives,” so do not think giving up “not one more step,” he says. In his participation, the defence lawyer for Los Llanos says that the announcement of the construction of the highway was made in November 2013; for this reason the community requested an amparo (injunction) in early 2014. The authorities’ response has been to deny that the highway would damage the lands of Los Llanos, which means that the law automatically allows the judges to dismiss the amparo, leaving the communities vulnerable, reports the defender. 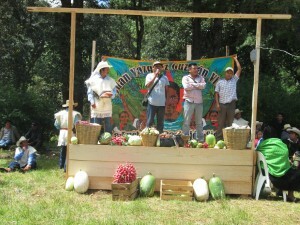 The indigenous guests from the ejido San Sebastián Bachajón explain that within their lands are located the tourist attraction the Waterfalls of Agua Azul, which they share with the municipality of Tumbalá, however they denounce that the National Council of the Environment (Conam), altered the coordinates of the map affecting Bachajón. With respect to the highway, the adherents to the Sixth Declaration of the Lacandon Jungle said that it would not benefit them at all, and showed that in the municipality of Salto de Agua, a convention where some communities accept the superhighway had already been signed; for this reason they were also protesting in the San Miguel community of Salto de Agua on the 12th October. The Tzeltal Indians also took the opportunity to demand the release of their three compañeros who were recently imprisoned, despite their statements being obtained under torture. In the following interventions, the ejido La Candelaria gave an invitation to a pilgrimage on November 25 in San Cristobal de las Casas, where they would make clear their rejection of the dispossession of their land by the highway project. 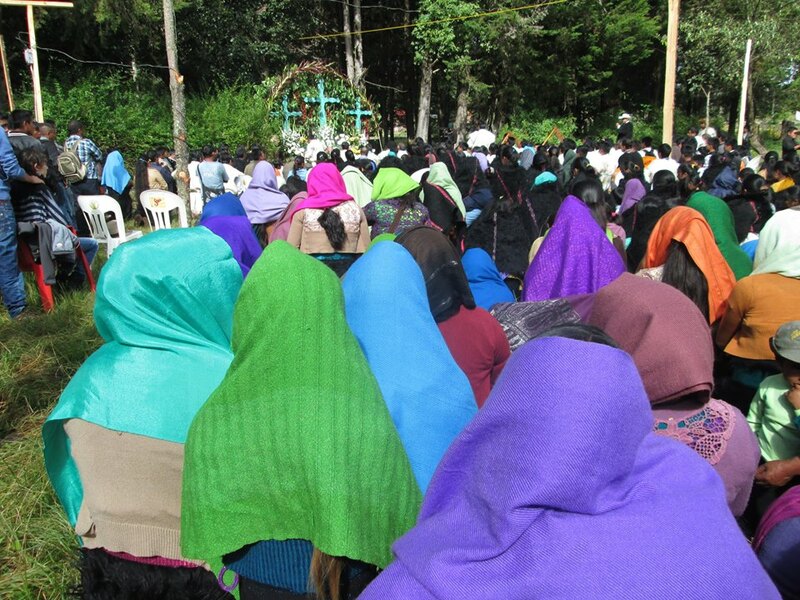 The Centre for Women’s Rights in Chiapas, and communities like La Grandeza and Aguacatenango reminded Los Llanos that they are not alone, and that they have to join together with other communities to defend themselves against megaprojects. Word also came to the meeting from the Xochicuautla community, in the State of Mexico, which is in resistance against the Naucalpan-Toluca highway which they want to impose on the community. The community, which is a member of the Indigenous National Congress, denounced that, because they are refusing to give up their lands, they continue to experience acts of provocation, persecution, harassment and intimidation towards their communal territory. The indigenous Nanhu also spoke out for justice for the students of the normal school in Ayotzinapa. ANTECEDENTES: Desde Laguna Suyul indígenas manifestan su rechazo a la Supercarretera San Cristóbal – Palenque.